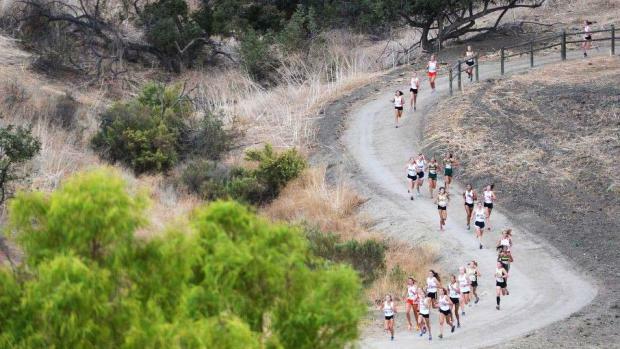 It's the time of the year again where some of California's best toe the line on one of the most iconic cross country courses in the United States! With a history that dates back to the 1950s, athletes from all over will convene at the Mt. San Antonio College cross country course! Although the Mt. SAC facility is still under major construction, where the gauntlet is 'out of service' during this temporary transition, the epic course remains! 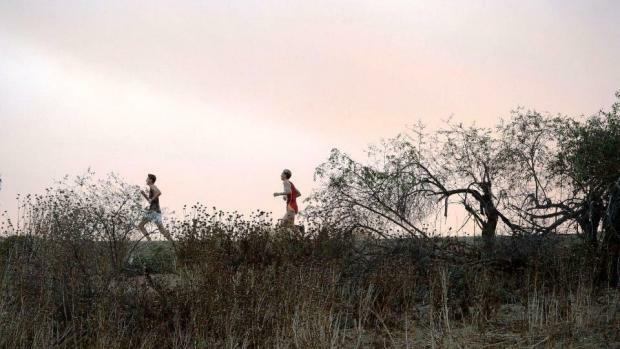 And, of course -- which seems to be the case here in So Cal for October, Mother Nature has granted us the Santa Ana winds from the east to drop the humidity, raise the temps a bit and obviously pose even more of a challenge for the athletes! Although less than three miles, the steep hills pose quite the challenge for even the elite athletes! But as the best understand, what goes up must also come back down! In measuring the course, there is more downhill steps taken than uphill, so the most successful on this course are also those more equipped to handle and take advantage of those downhill portions. The 71st annual affair features 79 races over two days. Friday's action begins at 10 am and spotlights smaller school programs traditionally placed into Divisions 3-5. Whereas Saturday morning begins as the sun is barely over the horizon at 7:30 am! 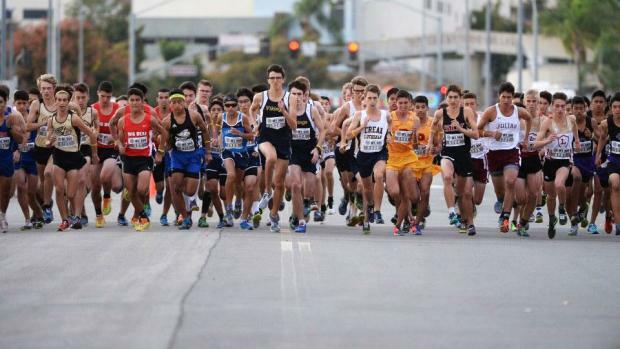 The Team and Individual Sweepstakes races, featuring some of the best in California, run from 8:56 am until 9:44 am! Before those four races, Mt. SAC is notorious for featuring the Junior Varsity Sweepstakes races as well. Images on this page from the 70th Mt. SAC Invitational by Orlando Ramirez/USA Today. Off the starting line, two Valley Loops to the premature 'mile' mark, the Switchbacks, down the backside of the stadium, through the alley, left at the cross over, up the ungracious Poop Out hill, down and through the two mile mark, along the backside of Reservoir, take a sharp right and one last hill -- Reservoir, get to the top, less than a half mile to go; working around that steep left turn back onto the airstrip -- 400 meters to go and into the gauntlet! All synonymous with only one course - Mt. SAC!